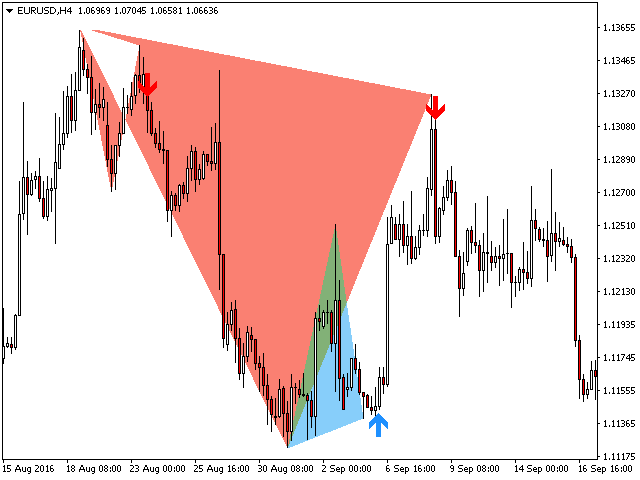 This indicator finds double top and double bottom reversal patterns, and raises trading signals using breakouts. 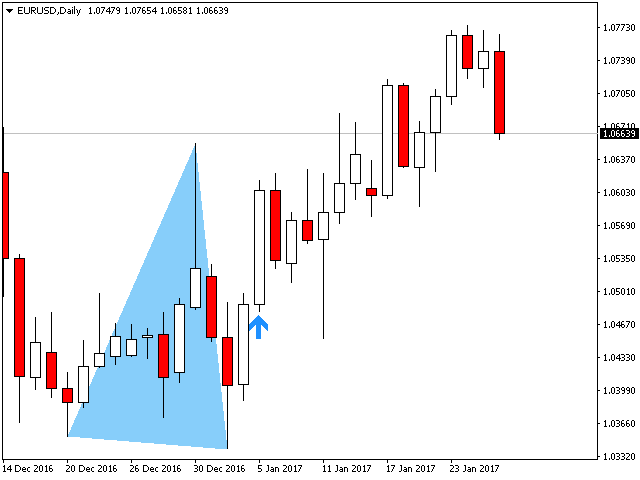 Amplitude: The amplitude represents the minimum amount of bars between alternative price points. To find big patterns, increase the amplitude parameter. 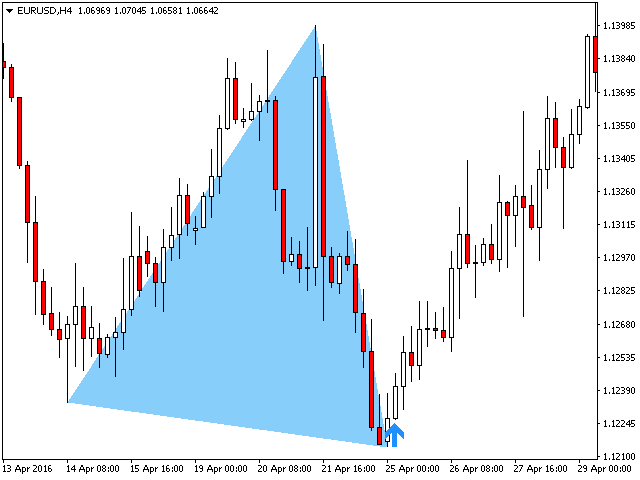 To find smaller patterns, decrease the amplitude parameter. Min. 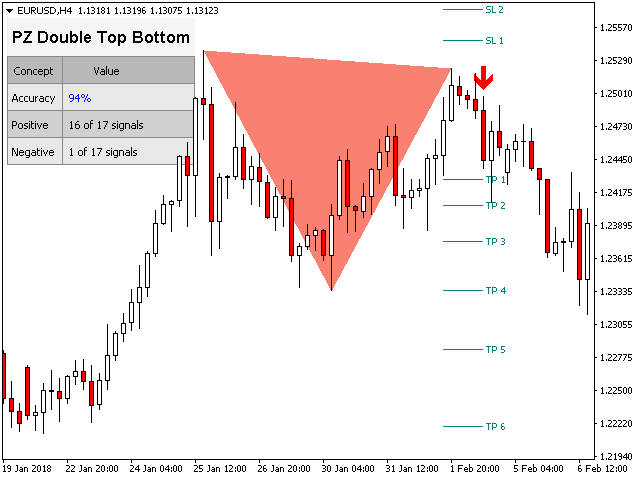 Retracement: The minimum fibonacci retracement needed in a pattern. Max. 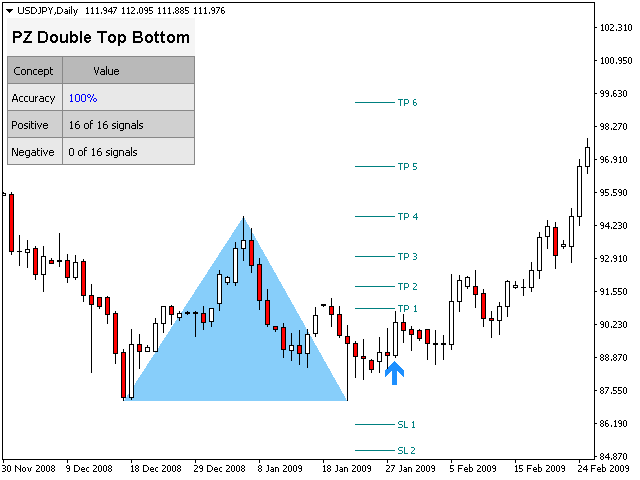 Retracement: The maximum fibonacci retracement possible in a pattern. 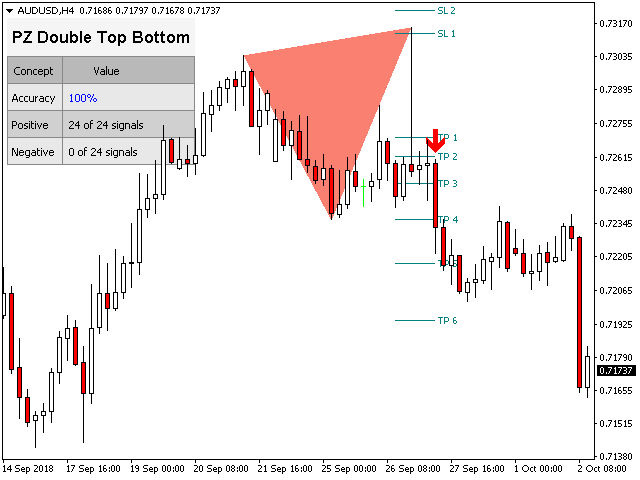 Max History Bars: Amount of past bars to evaluate when the indicator loads in the chart. Display Stats: Show or hide the statistics dashboard and performance data. 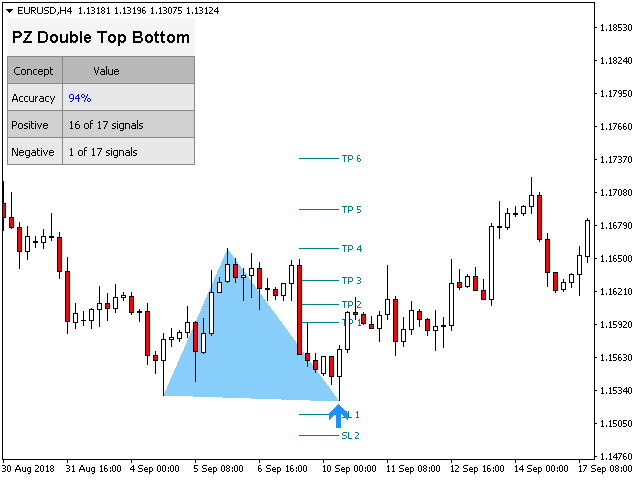 Display SL/TP Levels: Show or hide the suitable stop-loss and take-profit levels for each signal. 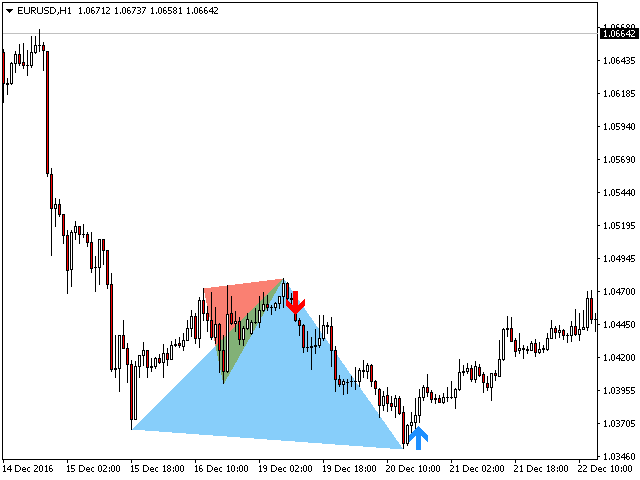 Drawing Options: Colors and sizes for bullish or bearish lines and labels, as well as font sizes. 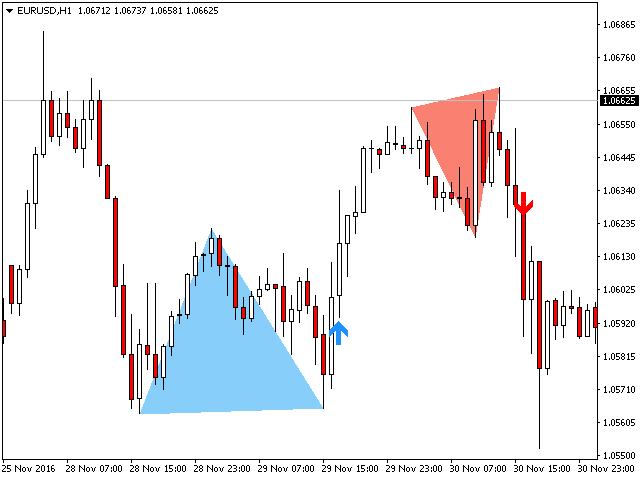 Breakouts: Colors and sizes for breakout arrows. Alerts: Enable or disable alerts at will.